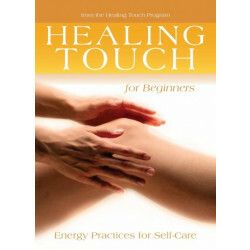 Healing Touch Program™ is an international educational program in energy medicine therapy that has been taught since 1989 to more than 100,000 participants worldwide. The program was developed by Janet Mentgen, RN, BSN, as a medically based energy therapy training program for nurses. Today, Healing Touch is practiced in more than 32 countries and is considered one of the leading energy medicine programs in the world. For more information, please visit healingtouchprogram.com.